It is very nearly Christmas and very nearly the end of a year which has brought us many unexpected changes. Over the last year and a half I had the joy of working at two fabulous local galleries, Number Four in St Abbs and Coldstream Gallery. I have loved working in both galleries and when Rich and I were offered the opportunity to take over the managing of Coldstream Gallery and Cafe we jumped at the chance. Both exciting and daunting we have been working hard in conjunction with our own creative work and education work. Our first exhibition opened last month and it has been such a pleasure showing new work from a slection of the area's top artists. 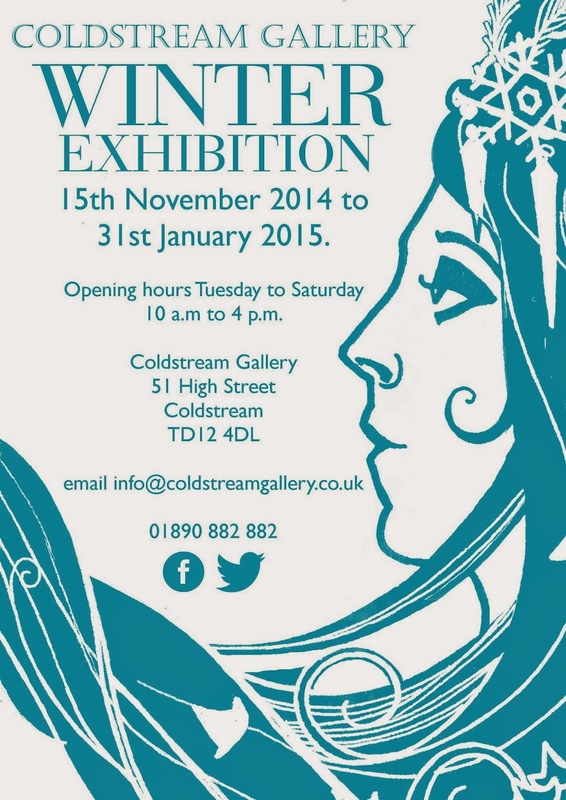 November brought both our first exhibition and our new website, www.coldstreamgallery.co.uk which is growing regularly. You can keep up to date with happenings and exhibition news by subscribing to our email newsletter. We have opened an online shop and you can now buy Coldstream Gallery gift vouchers online. New shop categories are coming soon, including jewellery! My own wee web shop was taken offline as it was one thing too many during the transition period but my jewellery will be available online again in the new year. I've still been out collecting glass and pottery and making jewellery and right now my very last orders for this year are tumbling away being polished ready for collection tomorrow. Tomorrow is my last day working at the gallery before we finish up for Christmas and I am really looking forward to sitting back and relaxing with family and friends. We are so thankful to everyone who has visited the gallery, bought work, popped in for a cuppa, liked work on facebook; it has been massively encouraging for both myself and Rich, and all the artists represented at the gallery. Thank you! Plans for next year are already taking shape and, yes, there will still be tea and cake at the gallery!